Now based in London, South African Jacob Kimmie’s collections seek to convey profound artistic, historical and social paradoxes. From South Africa, fashion greats include Cape Town’s Kluk CGDT, Gavin Rajah and Craig Native who will join Johannesburg’s David Tlale, Marianne Fassler, Thula Sindi as well as Durban swim-wear designer Dax Martin’s “Burg Collection Brought to you by Glocell”. Angola’s Shunnoz Fiel and Tekasala Ma’at Nzinga, meanwhile, are the forces behind Projecto Mental, a brand that links Angola to the world through fashion. Having shown collections in Tokyo, London and Lisbon Fashion Weeks, Projecto Mental’s goal is to use fashion & art to reshape Angola’s cultural image. The Nigerian contingent includes Ngozi Ochonogor of U.mi-1’s label who aims to create a “fashion as art” brand through collaborations with home-grown artists while compatriot Maki Oh’s design ethos is largely inspired by the Agbada (traditional Yoruba menswear), Western formal wear and the female body form. Lagos’ Deola Sagoe, meanwhile, offers edgy, dynamic women’s fashion, while Ituen Basi, a London College of Fashion graduate will present a collection exuding a fresh design interpretation and celebration of ubiquitous Nigerian print. From West Africa, Cote D’Ivoire’s Laurence Airline is a fashion label based in Abidjan, Côte d’Ivoire, the hometown of chief designer, Laurence Chauvin Buthaud. Born in Africa and raised in Switzerland before moving to Paris, Laurence Airline’s men’s wear collections are all produced in Abidjan. Mustafa Hassanali, from Tanzania, has showcased in 16 countries world-wide and has also been named one of Africa’s Top Male Fashion Designer by UK’s New African Woman Magazine. Loin Cloth & Ashes is known for its hidden detailing, elegant edgy vibe, comfort and fit. The brand designs unique dresses that are made to create a statement but still maintain a timeless air of luxury and style. Morocco’s Amine Bendriouich is renowned for a timeless collection that follows culture rather than a season and presents a mosaic of influences spanning early Hip Hop Culture through the underground trend of Casablanca. Mozambican designer, Eliana Rodrigues Murargy’s Murade brand presents a fusion of elegance, sophistication and simplicity with her glorious designs having been showcased in various Fashion Weeks including Mozambique and Brazil while her fellow Mozambican, Taibo Bacar, comes to Mercedes-Benz Fashion Week Africa with a “Best Designer” accolade from that country’s Fashion Week. From the Cameroon, Kibonen is the first designer to create and publicize the intricacies and beauty of the toghu designs typically found in hand-woven traditional attires in Cameroon’s North West Province while the Kreyann label mixes beautifully-classical and fantasy influences. Three designers from Ghana will hit the runway, including Duaba Serwa whose label represents luxury and superb craftsmanship in the use of fabrics such as raw silks and linen while incorporating bold colours and African prints. Kiki Clothing’s Titi Ademola, meanwhile, makes use of African textiles, vibrant colours and Afro-centric prints to create simple and wearable styles while; Mimi Plange’s label innovatively fuses Victorian Europe, Pre-colonial Africa and modern American Sportswear into extraordinary day and evening designs. Rwanda’s Mille Collines label, meanwhile, was born when two Spanish designers, Marc Oliver and Inés Cuatrecasas, created a collection inspired by a Rwandan woman. The brand reflects Africa’s strength and sensibility with attention to detail and handmade finishes. Tina Lobondi, originally from Congo and now based in London, has created a label based on classic and chic designs with fabrics and materials sourced from around the world – from Mauritania to Paris and London. Modahnik is a Chicago based women’s wear brand founded in 2009 by designer Kahindo Mateene, a native of the Democratic Republic of Congo who transforms ordinary prints into stylish, wearable pieces of art that accentuate a woman’s body. From Core D’Ivoire, Elie Kuame’s Couture creations reflect a cultural mosaic combining different materials such as silk, lace, leather, fur, pearl, stone and most unusually, bark, with great skill. Three designers that showcased at the recent Zimbabwe Fashion Week, Intisaar, Maito Marimo and Zuvva by Joyce have been selected in the showcase that aims to show the vibrant culture of Zimbabwe and utilize fashion as a platform for job creation and societal development, meanwhile providing a fashion network between South Africa and Zimbabwe. Ensuring a mix of emerging designers, the winners of the AFI Fastrack 2012 internship and training programme – Capetonian Kim Gush, Wetive Nkosi from Johannesburg and Kyra-Moon Halfpenny from Durban – will unveil their capsule collections at the inaugural Mercedes-Benz Fashion Week Africa (MBFW Africa) on October 24. As part of the Seasons-France 2012-13 partnership between South Africa and France, designer, Fred Sathal will be unveiling her dynamic collection at MBFW Africa. 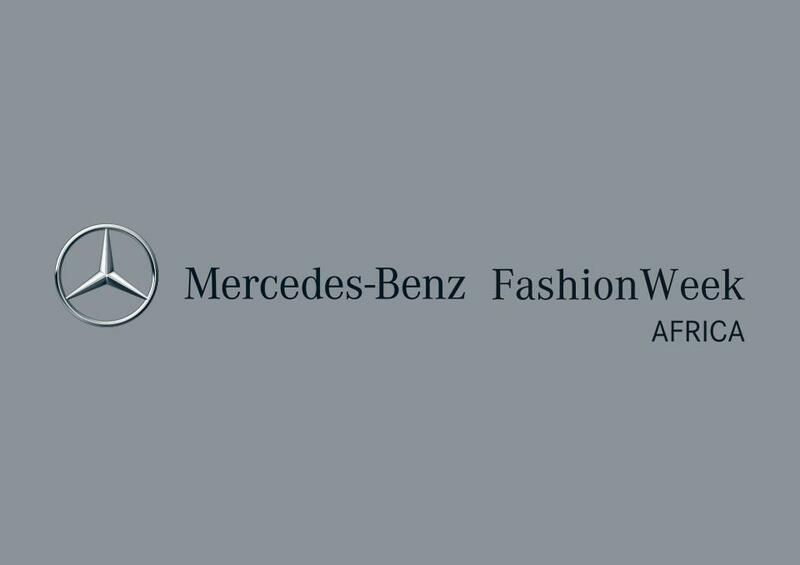 Ms Sathal was previously involved in Mercedes-Benz Fashion Week Cape Town 2012 where she hosted a design Masterclass for both 2010/2011 AFI Fastrack™ winners and finalists while she will also mentor the AFI Fastrack™ 2012 winner in France next year.